Berhampur (Odisha): A door-to-door survey titled Hungama to End TB was launched in the slums here to identify people suffering from tuberculosis. The drive was launched by Berhampur MLA R C Chyaupatnaik yesterday in the presence of Berhamupur Municipal Corporation Commissioner Chakrabarti Singh Rathore, deputy mayor Jyostna Nayak and others. 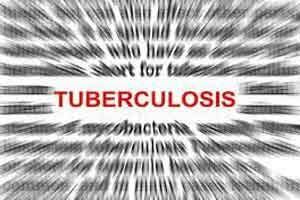 “Anganadi, Asha and health workers, along with volunteers, collected sputum from the suspected TB affected for laboratory tests and further treatment,” said District Tuberculosis Officer (DTO), A K Mishra. The drive will continue till March 23 and cover all the 40 wards of the Berhampur Municipal Corporation (BeMC) area, he said. People have allegedly not been coming forward for treatment due to ignorance about the symptoms of the disease. “The survey will help raise levels of awareness and will help the town to be free of TB by 2025,” said the MLA. In 2016 and 2017, as many as 360 and 311 TB patients were detected in Berhampur city respectively. “Of them, 342 and 280 were cured after proper treatment in 2016 and 2017,” said the DTO. This means that at least 40 people have died of TB in the last two years in the town, further necessitating a door-to-door measure such as this. As many as 4,475 TB cases were registered in 2017 in Ganjam district. The number was 4,579 in 2016. Besides the survey, a daily puppet show will be organised in every ward to create awareness on the disease. “Local volunteers will also be involved in the campaign,” Mishra added. Last month, the state government had installed gene-expert machines that can perform cartridge-based nucleic acid amplification tests for early and quick diagnosis of TB at the MKCG Medical College and Hospital.